Whenever I can, I always try to get myself a smoothie before I really start my day. They're healthy and super refreshing so I feel like they rejuvenate me and give me the energy that I need. 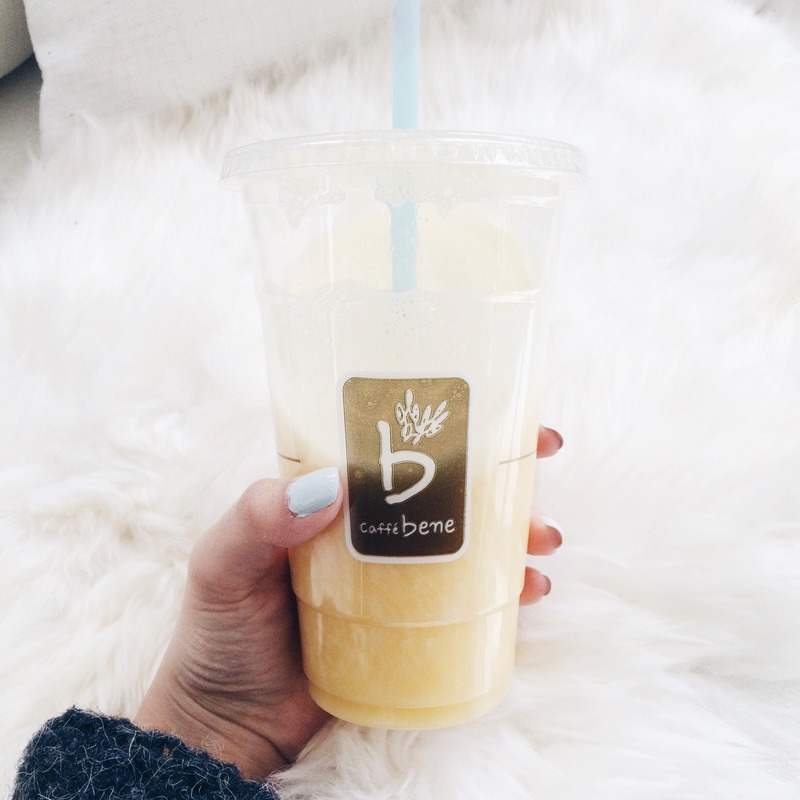 Today I picked myself up a mango and peach smoothie from Caffé Bene and it wasn't bad. I always prefer homemade. I'd make my own but I didn't have time before leaving the house as usual. What a New Yorker thing to say "I didn't have time."